Back at the beginning of the summer I was gifted a selection of products from Oasis Home and Hobby to make something spectacular for my blog. To be completely honest I'd always thought of Oasis as a supplier for florists and flower arrangers. But they have a lot to offer us crafters too as I’m learning from my box of craft goodies and a browse on the Oasis Home & Hobby website. 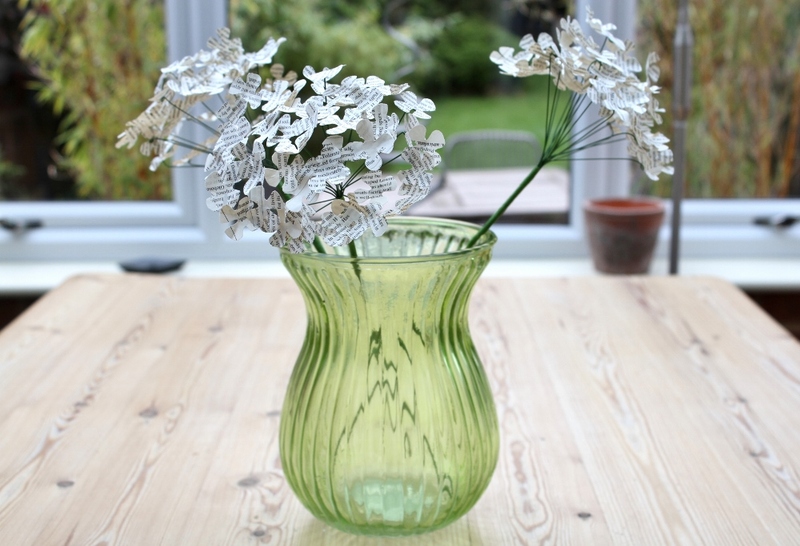 So here I am with my first make, I've filled this pretty glass vase with hydrangeas made with vintage book paper. 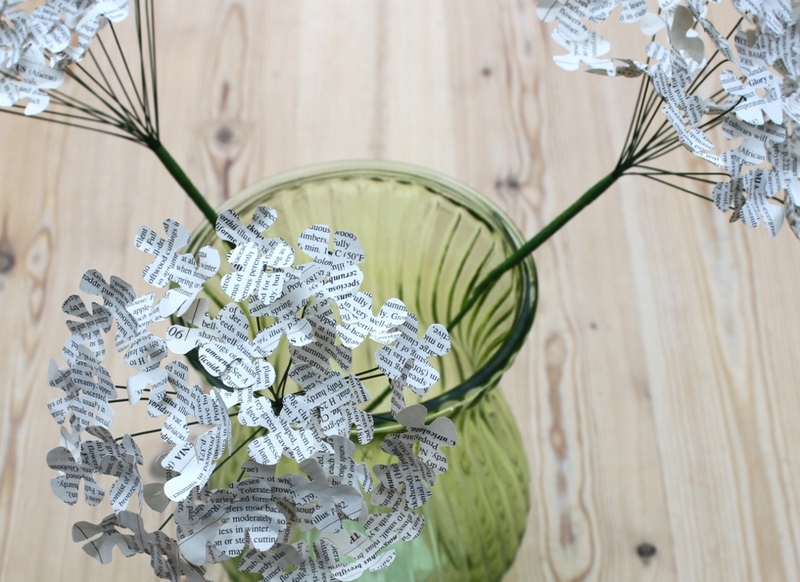 A tutorial I found in Folded Book Art by Clare Youngs. The vase is looking splendid in my craft studio. I love how the green glass of the vase echoes the shades of green of the garden through the windows. I have some other projects on the go with my Oasis Home & Hobby craft pack so watch this space. Disclaimer: I was gifted these products to review for free but was under no obligation to write this post. Opinions are my own.